Long-time Mount Pleasant friend, Susan Prewitt, sent a request last week searching for a column published recently in the Tribune. Seems she tossed the issue before husband Randy finished reading it. “And your point is …,” I pondered. When not sticking words together hoping for something meaningful, my other passion has always been bolting automotive iron together hoping for something fast, loud and cool looking. 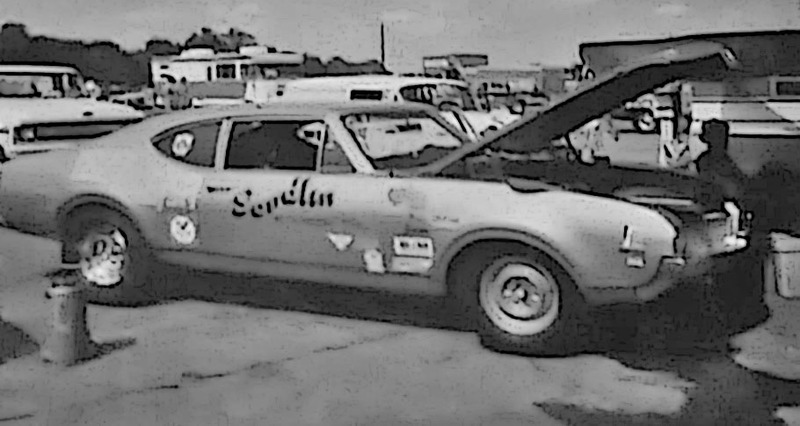 One fast, loud and cool car that led from one thing to another years ago, and the common denominator in this narrative, was a high performance car built for drag racing. And race is exactly what I did with it at drag strips across Texas and Louisiana before eventually selling it to Randy Prewitt. My sister Sylvia and Susan were buds at MPHS then, which led to Susan accepting my invitation to a race one summer night. I’d have to ask her, but that may have been the first time she went on a date and wound up working on a racecar. In any case, it certainly wasn’t the last. She later married Randy (and I guess the race car as well) and their passion ever since has been racing cars and motorcycles. The Friday night Susan ventured off with me as a date more than a racing event, that for her turned into more of a racing event than a date, also led to her father teaching me something I’ve never forgotten. Auto races were, and still are, unpredictable events that often become late night affairs, especially when you’re winning. This particular night in rural East Texas, we were almost an hour from home when the dust settled on the track as midnight approached. Susan’s father, Carlton McAlister, was waiting when we pulled back into Mount Pleasant. And, Mr. McAlister was not a happy father. Our feet were hardly on the porch before he began strongly expressing his displeasure with this young man’s lack of responsibility for bringing his daughter home at that hour, and rightfully so. The next morning, actually just a few hours later, Saturday dawned with me punching the time clock at Sandlin Chevrolet and Olds where I worked to support nagging habits like racing, college and dating. I was still trying to focus sleep-deprived eyes and sort out problems I had created for Susan when someone stepped up next to me. Sleep-deprived or not, my eyes quickly confirmed that I was face-to-face with Susan’s father—again. To my surprise, Mr. McAllister said, “I owe you an apology. Susan explained what happened.” He also added that it would be all right for me to ask her out again—something he told me in no uncertain terms just a few hours earlier that I needn’t bother attempting again. Decades have failed to diminish the memory of that event, it’s still vivid and I can tell the story as good today as I did then, maybe better. More importantly, in later years I better understood Mr. McAlister and his actions. That clarity came once my own daughter reached the age that Susan was then. As one thing leads to another, it was as a parent that I figured out his actions both that night and the next morning weren’t so much because he was mad at me, but more because he loved his daughter. The old racecar is gone, although not forgotten by me or by Randy. Such is the legacy of fast, loud and cool cars among old guys who are still young at heart. But, as I told Susan recently, I’ve always fondly remembered her father and the valuable lesson I learned from him … because of a racecar, and how one thing often leads to another. Cause and effect….. Randy chuckled, ” I asked for a previous article and I get my name in the paper.” The article is wonderful, I’ve already read it several times! Dad did love us, that it a given! I might not have thought so at times, but as you said, one becomes a parent and realizes how valuable discipline is. Love and discipline go hand in hand. Thank you for taking the time to stir up old, but wonderful memories! Maybe dad didn’t leave you with a wonderful memory, but none the less a vivid memory! Oh yes, Susan, all my memories of your dad are good ones. Even this one. The fact that I learned something makes it even more special. I recall other times visiting with him at your house including one afternoon when he took a great deal of time and patience showing me how he crafted his fishing lures. Your dad was a gem!